"Distance Still Matters" is an influential Harvard Business Review article. In this work, Ghemawat proposes the CAGE distance framework that allows firms to consider four dimensions of international distance (cultural, administrative, geographic, and economic) when planning global expansion. Then, he demonstrates the usefulness of the framework with a practical case of a company that identified a better market for expansion by factoring in the effects of distance. 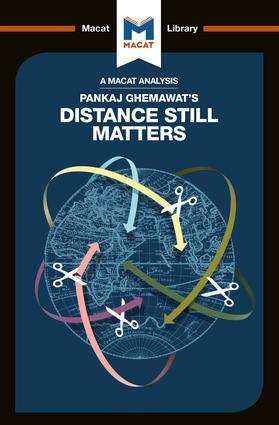 "Distance Still Matters" is considered a seminal work in international business literature and a major contribution to the globalization debate that appears on the core reading list of most international business courses.